In recent years, there's been a newfound appreciation for the houseplant. One theory? Less outdoor space means more indoor plants. And with wellness being a huge trend, bringing nature indoors (especially during these stressful times) makes a whole lot of sense. Or, you know, millennials just can't afford pets, so they're settling for the next best option — cuddling a cactus. But origins of the houseplant trend aside, we're here to talk about what has risen from it: the plant lady. 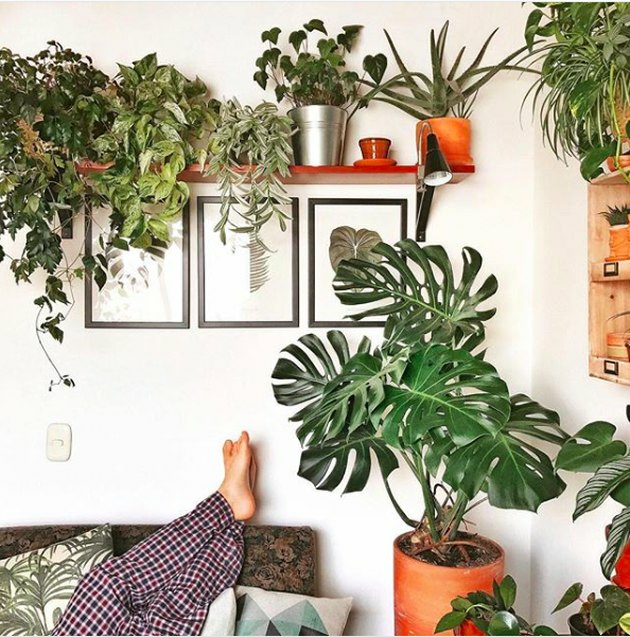 She's dominating Instagram (with more than half a million #plantlady posts), and is clearly great at keeping things alive (unlike us). On any given Sunday, you'll find her finely misting the leaves of her fiddle leaf fig — we only aspire to be as hale and positively glowing as the plants in her possession.